"Sampath Speaking" - the thoughts of an Insurer from Thiruvallikkeni: Shakespeare Stage - Theatre fires !! Everyday as I passby Gemini fly-over, the vacant land that once was a Theatre complex brings back memories of some movies seen there. Chennai has a long history of theatres and Mount Road was identified with theatres – from Shanti to Saffire – so many dotted the road. According to Encyclopedia of Indian Cinema, edited by Ashish Rajadhyaksha – Warwick Major opened the first theatre in 1900 – but by other accounts, it was in 1913, that Warwick Major opened the first theatre in Madras in the present Philatelic Bureau on Mount Road, and it was titled Major Warwick Electric theatre. Triplicane had Star, Paragon and Childrens’ theatre. Of the many movie halls of fame - Sun, Saffire, Anand, Star, Paragon, Wellington, Chitra, Nagesh, Odeon …. have all fallen by the side. In Trichy, there is Kalai Arangam and in Madurai, was ‘Thangam Theatre’, credited as the largest cinema hall in Asia during its inception – that stood as one of the landmarks of Madurai, a city known for its vibrant popular culture and history of festivity and related cultural edifices. 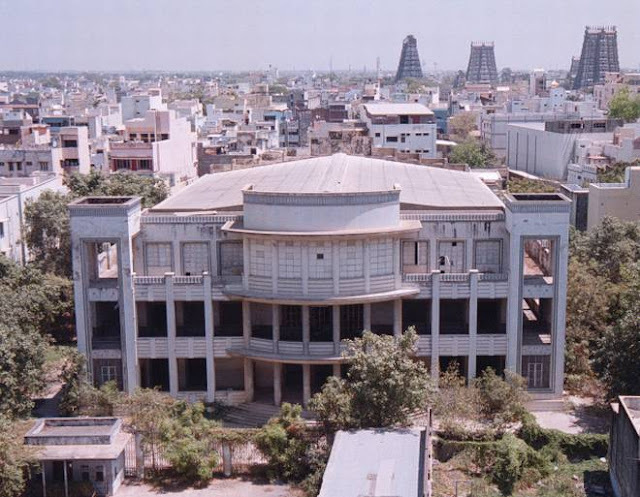 The cinema hall, located on the West Perumal Maistry Street, could seat 2,563 persons officially, spread over more than 52,000 square feet, and which gave the movie-goers a unique visual experience because of its technically superior structure. It has become history after it was demolished after its ownership changed hands. Globally, the place of entertainment have been associated with some gory accidents too. In Dec 1876, a major fire broke out in - Brooklyn Theatre, the conflagration killed at least 278 individuals, with some accounts reporting more than 300 dead. One hundred and three unidentified victims were interred in a common grave at Green-Wood Cemetery. In Chicago in 1903 occurred another deadly fire which reportedly killed around 600 people. 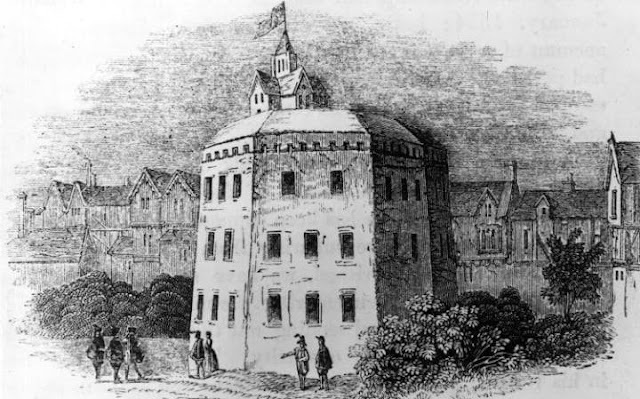 Then there was the ‘Globe Theatre’ in London associated with William Shakespeare. It was built in 1599 by Shakespeare's playing company, the Lord Chamberlain's Men, on land owned by Thomas Brend and inherited by his son, Nicholas Brend and grandson Sir Matthew Brend. This landmark place too was destroyed by fire on 29 June 1613. A second Globe Theatre was built on the same site by June 1614 and closed by an Ordinance issued in Sept. 1642. Wikipedia reveals that The Globe was owned by actors who were also shareholders in the Lord Chamberlain's Men. Two of the six Globe shareholders, Richard Burbage and his brother Cuthbert Burbage, owned double shares of the whole, or 25% each; the other four men, Shakespeare, John Heminges, Augustine Phillips, and Thomas Pope, owned a single share, or 12.5%. These initial proportions changed over time as new sharers were added. Shakespeare's share diminished from 1/8 to 1/14, or roughly 7%, over the course of his career. The Globe was built in 1599 using timber from an earlier theatre, The Theatre, which had been built by Richard Burbage's father, James Burbage, in Shoreditch in 1576. The Burbages originally had a 21-year lease of the site on which the theatre was built but owned the building outright. However, the landlord, Giles Allen, claimed that the building had become his with the expiry of the lease. The theatre was reportedly dismantled beam by beam and transported it to Street's waterfront warehouse near Bridewell, was poorly drained and, notwithstanding its distance from the river, was liable to flooding at times of particularly high tide; a "wharf" (bank) of raised earth with timber revetments had to be created to carry the building above the flood level. On 29 June 1613 the Globe Theatre went up in flames during a performance of Henry VIII. A theatrical cannon, set off during the performance, misfired, igniting the wooden beams and thatching. According to one of the few surviving documents of the event, no one was hurt except a man whose burning breeches were put out with a bottle of ale. No-one was severely injured in the event. It was rebuilt in the following year. Like all the other theatres in London, the Globe was closed down by the Puritans in 1642. A modern reconstruction of the theatre, named "Shakespeare's Globe", opened in 1997, with a production of Henry V. It is an academic approximation of the original design, based on available evidence of the 1599 and 1614 buildings, and is located approximately 750 feet (230 m) from the site of the original theatre. In February 2016, a temporary full-scale replica of the Second Globe Theatre, called the Pop-up Globe and based on scholarly reanalyses of the surviving evidence for the 1614 building, opened in downtown Auckland, New Zealand. Back home, the was tragedy of ‘Uphaar Cinema’ fire, that occurred on 13 June 1997 at Uphaar Cinema, in Green Park, Delhi, during the 3-to-6 pm screening of the movie Border. Trapped inside, 59 people died, mostly due to suffocation, and 103 were seriously injured in the resulting stampede. The victims of the tragedy and the families of the deceased later formed The Association of Victims of Uphaar Fire Tragedy' (AVUT), which filed the landmark Civil compensation case. It won ₹25 crore compensation for the relatives and families of the victims; later in Oct 2011, Apex Court nearly halved the sum of compensation awarded to them by the Delhi high court. In its final order Supreme Court in Aug 2015 modified its earlier order and ordered real estate barons Ansal brothers will undergo a two-year rigorous jail term in the Uphaar fire case if they fail to pay Rs.30 crore each within three months. [ SC reviewed this order again in Feb 2017 and sentenced Gopal Ansal to one-year jail in the case, the other accused Sushil Ansal, got relief with the prison term already undergone by him.